I have had 3 foils in a year and a half. I use the cleaning station after every shave once a day and still get a tear or hole in the foil. I always change the foil and cutter block together. 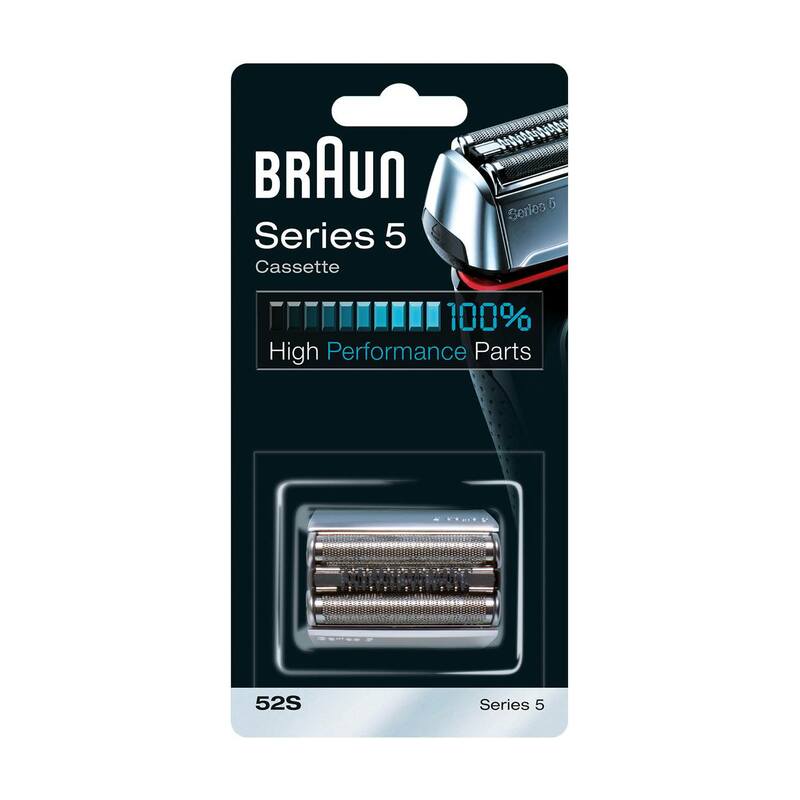 Braun has replaced one foil at no charge. I agree with other reviews of foil redesign since the original that came on my series 5. When I had series 3 I would replace foil every couple years. I might try the new series 7 but hope for a better foil. At 1/3 the cost of the shaver, each of these replacement foil and cutter-block kits is a poor value given it's construction. The replacements do not fit as well in the shaver head as the original component, and their performance is still only marginally better than the worn-out original. The longevity of the replacements is also 12 months at best rather than the prescribed 18 months. I have a series 5 that did an amazing job for the first 18 months. When I replaced the cassette which included the foil and cutter head in one cartridge it lasted only six months. I am hesitant to buy another cartridge because of the difference in quality between original and replacement. Is there a way to buy the original cassette? I have a Braun series 5. I purchased the replacement head which states that it is for a Braun series 5, but it is not compatible. The blade insert is not the same attachment and the foil head is too small to fit. I’ve only owned the razor for 2 years. Has the model changed so much that the replacements no longer fit my razor? Each time I buy a replacement foil and cutter the foil wears out faster with each new set. I used to get 18 month+ out of a set and now I only get barely 6 months, I use spray oil regularly. I noticed the foil design has changed since I first bought this shaver and it's the newer design that does not last.